A meeting was held between CEO Timesaco Donald-Li and Minister for Information Technology, Khalid Maqbool Siddiqui. Both sides talked over the eradication of poverty and jobs opportunities in the IT sector. According to details ‘Timesaco’ a technology company operating in China is soon going to launch its operation in Islamabad and Rawalpindi, introducing a new delivery system. All services of delivery applications will be merged in a single item and the company will be providing all services on the doorsteps of the citizens. Along with providing all services in a single application, the technology will also open doors of employment for the residents especially for youth. 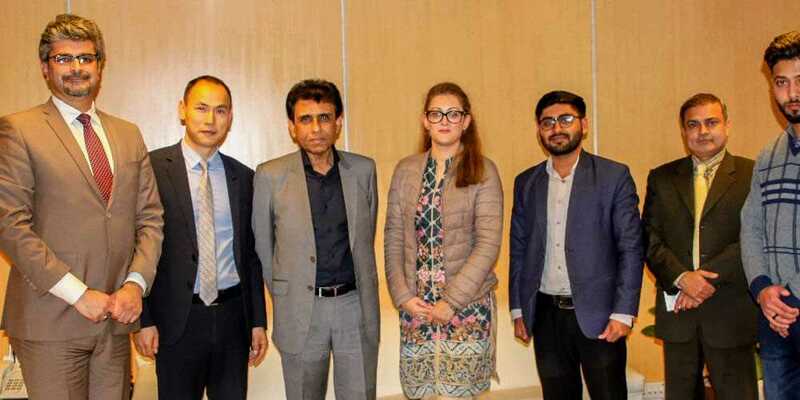 Chief Executive Officer of Timesaco Donald-Li met with Minister for Information Technology and Telecommunication Khalid Maqbool Siddiqui on Monday. CEO Timesaco and Minister for IT talked over the current situation of IT and Telecom sector and shared their views to improve the IT sector and eradication of poverty from Pakistan. Donald-Li talked about different ongoing and completed projects and highlighted the importance of new technologies.